Explore one of San Francisco's trendy & ultra-chic neighborhoods: Hayes Valley. 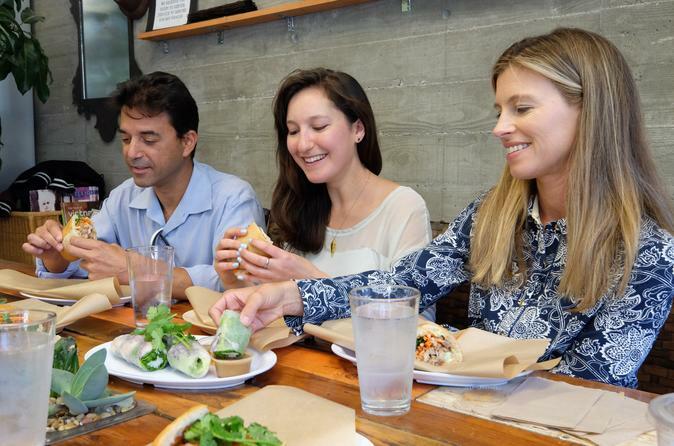 This 3-hour tasting and walking tour will give you the best of Hayes Valley's gourmet food experiences. You'll learn what's hot in the SF food scene as we visit specialty shops, restaurants and even a speakeasy. With seven tastings, this tour offers plenty of food for lunch. As you compare gourmet cheeses, participate in a craft beer tasting and indulge your sweet tooth, you’ll gain an appreciation for a distinct neighborhood that most tourists never see. Craft beer flight (or wine) from a speakeasy inspired lounge.